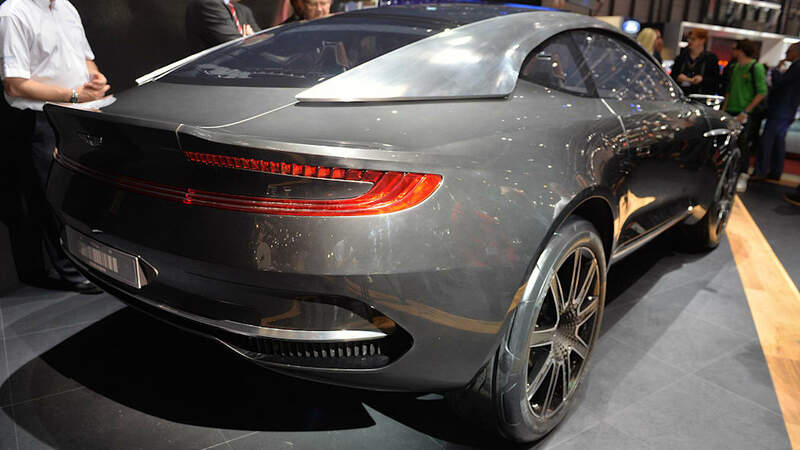 This is like no Aston Martin you've seen before. Oh, sure, it's a coupe, and a luxury grand tourer, at that. But what's so unique about this new DBX concept is what's underneath that slick sheetmetal. 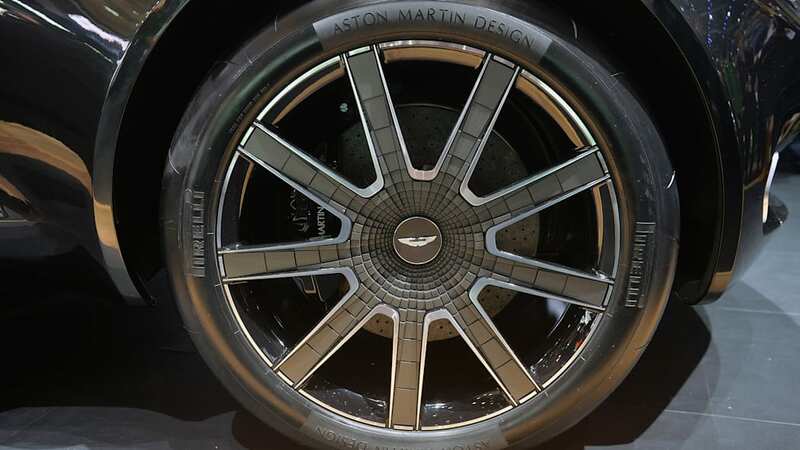 Not only is this Aston all-wheel drive, it uses an all-electric powertrain. Yep, it's an Aston EV. 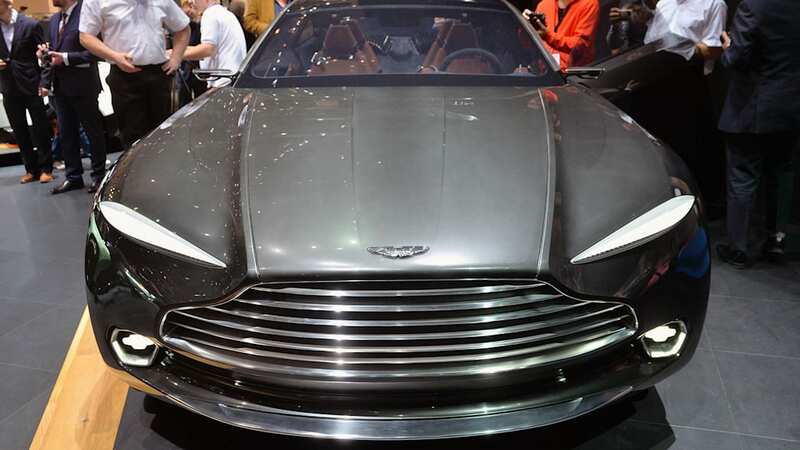 Aston Martin says the DBX was created to "defy conventional thinking about the luxury GT segment," with CEO Andy Palmer saying, "The DBX Concept is a challenge to the existing status quo in the high luxury GT segment. It envisages a world, perhaps a world not too far away, when luxury GT travel is not only stylish and luxurious but also more practical, more family-friendly and more environmentally responsible." Powertrain wise, this is a huge departure from what we currently associate with Aston Martin. It doesn't have an engine compartment, because it's powered by electric, in-wheel motors. 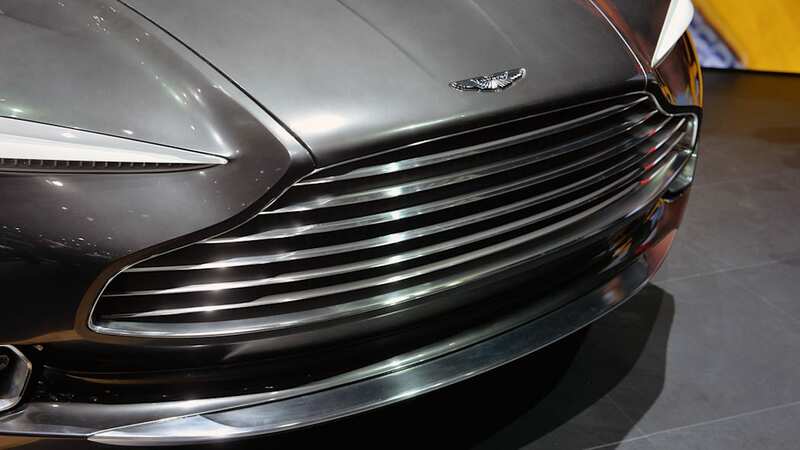 It has drive-by-wire electric steering, carbon ceramic brakes (okay, that sounds like Aston), a KERS energy recovery system, and cameras in place of actual mirrors (because it's a concept, of course). Design-wise, the DBX has a sort of high-riding coupe look to it, which makes its all-wheel-drive setup clearly evident. 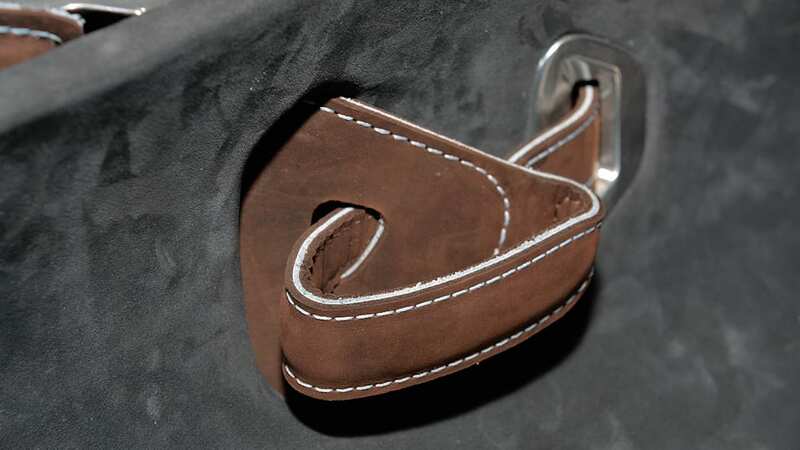 It's not super swoopy or revolutionary in terms of its design, instead perhaps more evolutionary than anything. It almost looks like it could be headed for production, even though Palmer put the kibosh on that thinking, saying, "This is, clearly, not a production-ready sports GT car, but it is a piece of fresh, bold thinking about what Aston Martin GT customers around the world could request of us in the future." In any case, it's certainly a fascinating and surprising debut from the British automaker. Check it out, above, and read more details in the press blast, below. 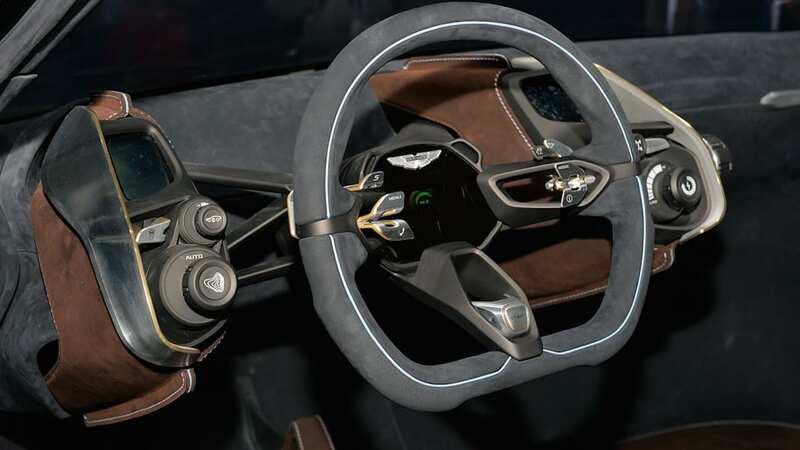 Unveiling the concept, Aston Martin CEO Dr Andy Palmer said: "The DBX Concept is a challenge to the existing status quo in the high luxury GT segment. It envisages a world, perhaps a world not too far away, when luxury GT travel is not only stylish and luxurious but also more practical, more family-friendly and more environmentally responsible. "I asked my team at Aston Martin to expand their thinking beyond conventions, to explore what the future of luxury GT motoring would look like in years ahead, and the DBX Concept you see before you is the result." Dr Palmer added: "This is, clearly, not a production-ready sports GT car, but it is a piece of fresh, bold thinking about what Aston Martin GT customers around the world could request of us in the future. 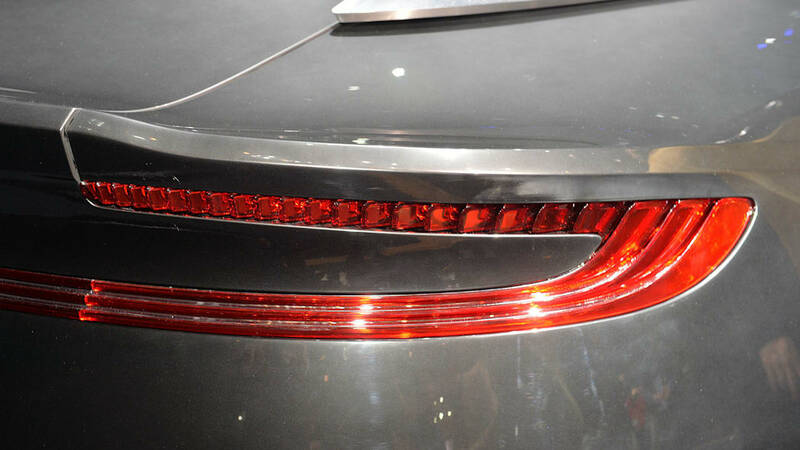 "The DBX Concept is more than a thought starter for us and for our customers, though. We will, in due course, be entering a car into the new DBX space and I am very much looking forward to seeing how this concept is received not only here today, but also by our legion of existing loyal customers and by those potential customers around the world who have, to this point, yet to consider one of our cars." Imagined by Chief Creative Officer Marek Reichman and his team at the brand's global headquarters in Gaydon, Warwickshire, the all-electric DBX Concept showcases not only cutting edge engineering but also a major evolution of the British brand's world-renowned and highly-regarded design language. 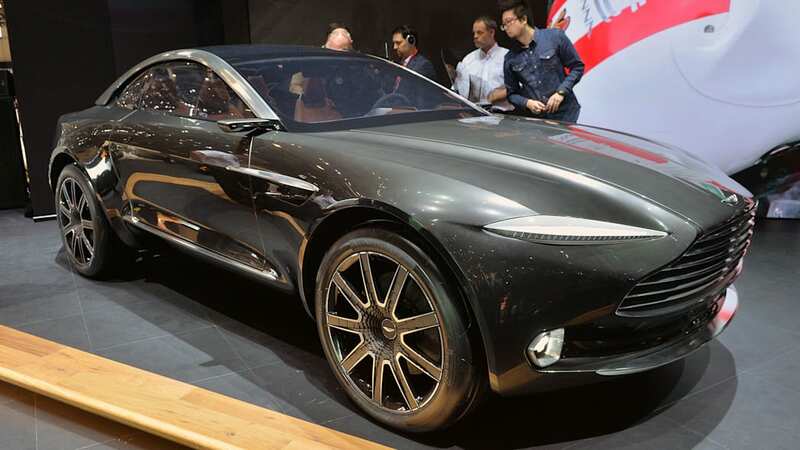 Clearly signalling an extension to the brand's existing model lines in the future, the all-wheel drive DBX Concept seamlessly combines traditional Aston Martin beauty with elegant new engineering that gracefully aligns form and function. Capable of accommodating four adults in comfort, the DBX Concept also majors on day-to-day practicality. It offers generous luggage capacity by virtue of the fact that its rear trunk and forward load bay can both accept passengers' belongings. The concept's exterior bright work emphasises the brand's approach to the use of authentic materials, and is made up of machined billet aluminium with visible milling lines in a piece of exquisite craftsmanship intended to be seen as the car's jewellery. 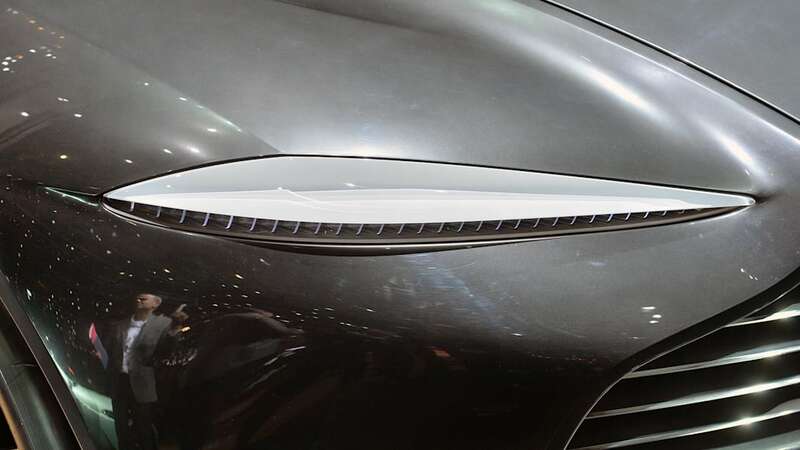 The DBX Concept's unique paint finish – Black Pearl Chromium – has been specially created to mimic the look of a genuine black pearl, and comprises a micro-fine layer of chrome to deliver a level of reflectivity that cannot be obtained through normal paint finishes. 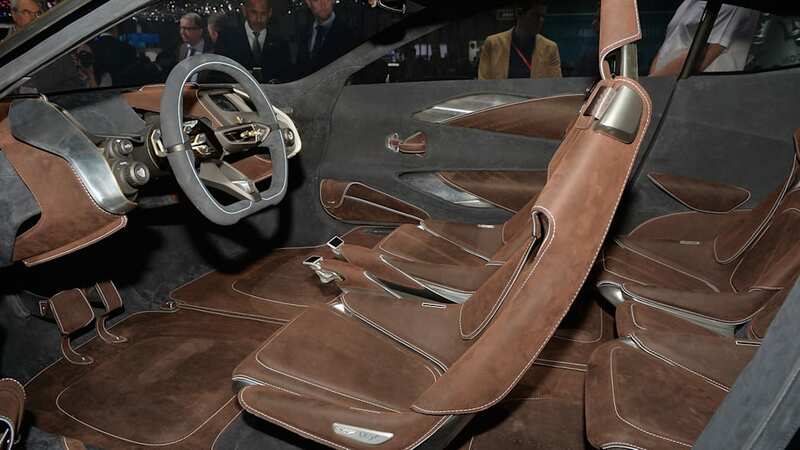 Inside, the deliberate use of non-automotive standard materials generates a uniquely soft, cocooning ambience. 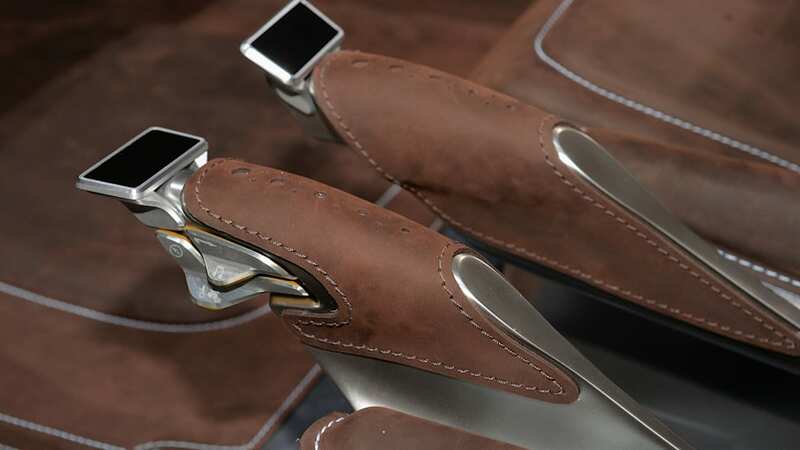 The extensive application of velvet-like Nubuck leather contrasts with the concept's hard, hi-tech equipment. 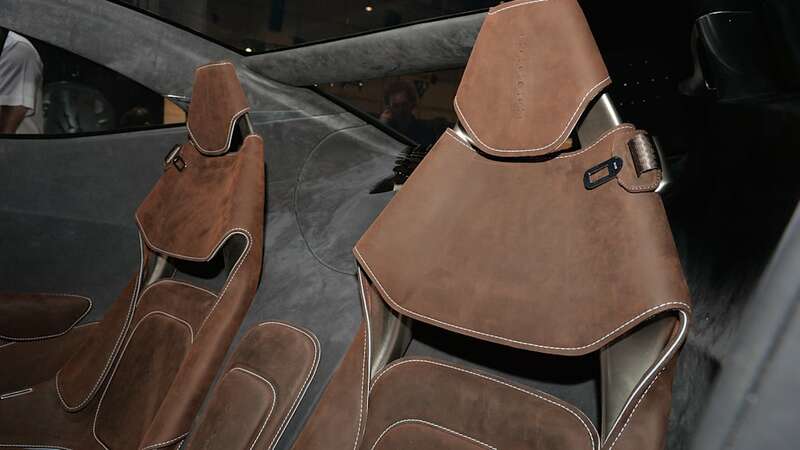 The exposed leather reveals a sandwiched accent layer, more akin to high-end furniture, while the car's interior bright ware matches that of the exterior with the addition of a gold 'pin striping' element on the edging. 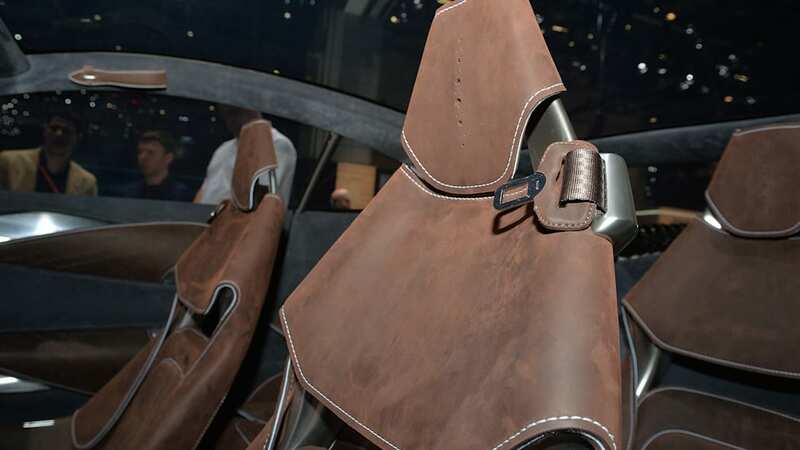 Marek Reichman explained: "The exceptional craftsmanship, with detailing more typically seen on luxury consumer goods or fine jewellery, gives the DBX Concept genuinely global appeal." Drive-by-wire electric steering, toughened glass with an auto-dimming 'smart glass' inter-layer, and bespoke driver and passenger head-up displays are further examples of its cutting edge technology. Dr Palmer explained: "A concept car such as this should, in my view, challenge conventional thinking and explore the art of the possible. 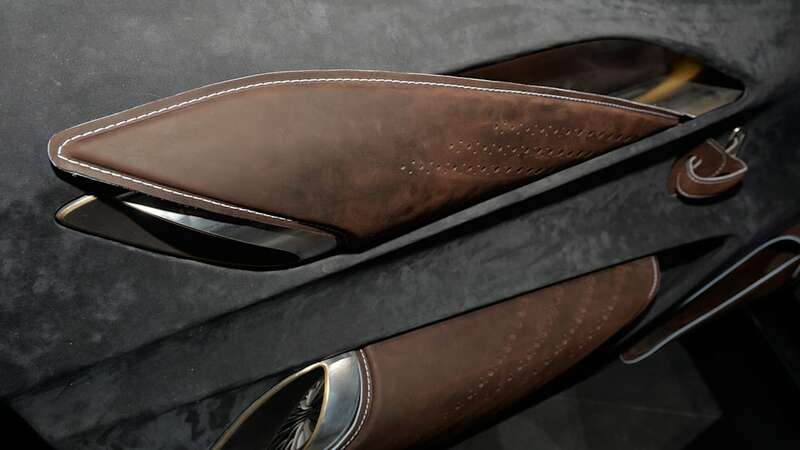 In the DBX Concept, I believe we have created a new type of luxury car that can not only broaden the appeal of Aston Martin to a whole new generation of customers, but sit with pride alongside the rest of our range."